I’m back in the office after a blissful four day weekend. I really struggle with this whole office job thing. I am not a fan of staring at a screen for several hours a day and I HATE sitting all day. But a girl has to do what a girl has to do to make a living in this world. 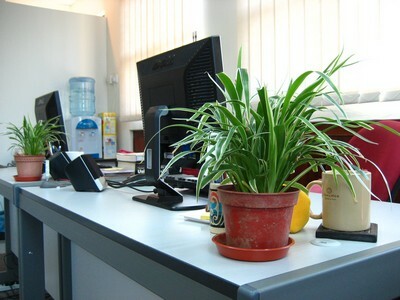 I have tried to create as healthy of an office space as possible. Not pictured here is my gym bag that I bring with me every day whether I have a work out planned or not. My office doesn’t have an window or I would have plants everywhere. I have been lobbying for almost a year for a stand up stand for my computer monitors. I work in an old fashioned office so there is a lot of scepticism about this “fad” of standing while working. This one I should try. 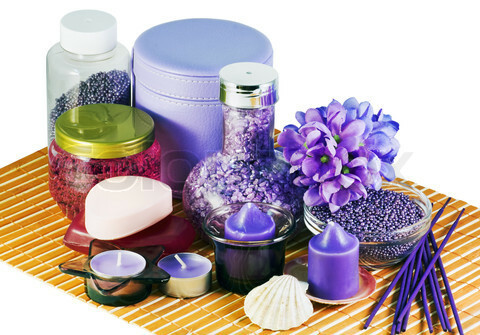 Keeping a blend in the office that is soothing and calming for those many stressful moments. 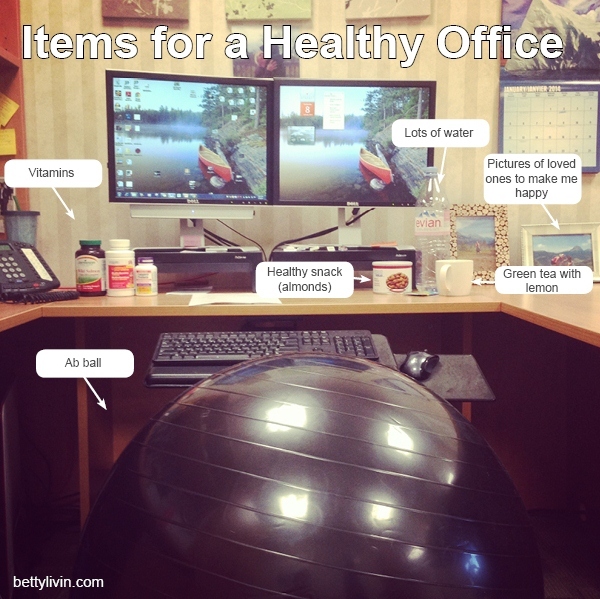 What do you have in your office to keep it healthier? I have a stand up desk! I built it myself out of ~$30 worth of stuff from Ikea and it sits on top of a regular desk. Maybe you could try that out? I want to do that! The nearest Ikea is 3 hours away though so I need to plan a trip! Have you noticed a difference standing instead of sitting? Oh, definitely! I am a lot less tired in the afternoons. My station is set up so that I can sit if I want to, but I spend probably 85% of most days standing. After hard workouts, I tend to sit more. 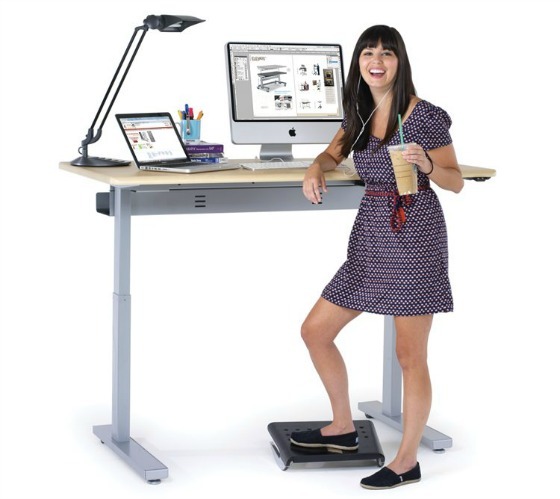 I love the idea of stand up desk!! Such a great idea!! You are so creative!! You rock!! XOXO! !